"If it comes to swinging, swing all, say I." Eric Elrington Addis was a retired Lieutenant-Commander of the British Royal Navy and a barrister-at-law at the Admiralty bar, but was "recalled to the Navy upon the outbreak of the Second World War" and served as Commander on HMS Warspite during the Norwegian campaign of 1940 – notably during the Second Battle of Narvik. One year later, Addis was mortally wounded in a German air-raid on the British Royal Navy base at Alexandria, Egypt. Addis left behind a wife, two children and a small body of crime-fiction. As the pseudonymous "Peter Drax," Addis was one of the "exponents and practitioners of realism in the British crime novel" and published six novels between 1936 and 1939. A seventh novel was left unfinished upon his death, but was eventually completed by his wife and posthumously published in 1944. However, Drax's contributions to the Realist School were soon forgotten and never considered as reprint material. Until this month. Dean Street Press is bringing back five of the six novels published during the thirties and the posthumous book, which come with an introduction by genre-historian and professional fanboy, Curt Evans – who can be found blogging as The Passing Tramp. The only title not being reissued is Murder by Proxy (1937). Since the books have become really obscure, I suppose there were no secondhand copies available to scan. High Seas Murder (1939) was the last book published during Drax's lifetime and demonstrated his literary ambitions "to tell a story that was credible," which resulted, according to Evans, in "one of the most important bodies of realistic crime fiction" of the early twentieth century. 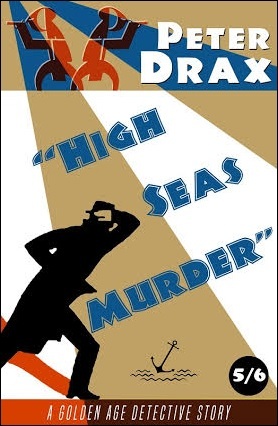 I think this specific title clearly showed Drax was a subversive voice within the genre, because the slender plot is completely antithetical to the image most readers have of the typical, 1930s ship-bound mystery novel. The first half of the book tells the story of two unlucky ships, a trawler and a cargo-ship, which are passing one another in their respective hours of need. Carl Swanson is "recognized as the best ship's captain in the fishing town of Gilsboro" and is assembling a small crew of fishermen to take out a new ship, named the John Goodwin, but the maiden voyage of the trawler is plagued by bad luck and losses – two men and both trawlers were lost to the sea. They also had a run-in with a gunboat when they were caught poaching. So the fishermen were looking at missing out on a good chunk of money when they serendipitously came across an apparently derelict steamship. The steamship Ivanhoe, owned by Captain MacTaggart, was badly damaged and the crew had abandoned ship when it looked as if it were going to sink. Somehow, the ship managed to stay afloat and when the John Goodwin sighted the Ivanhoe they assumed they could make up their lost by salvaging the derelict ship and its cargo. However, they found that the captain was still on board, who had refused to abandon ship, which is going to "cut down" on anything Swanson expected to get for salvage – which becomes very apparent in the way MacTaggart approaches those "damn' pirates." So, as to be expected, these two captains have a confrontation that ended with Swanson striking MacTaggart. Assuming he has just killed a man, Swanson threw the body into the sea and told the others he had fallen overboard by accident, because the ship was in poor condition. He also told them they could get more money, if they simply told authorities they found the Ivanhoe completely derelict and abandoned. And there you have it. The first half of the book and all of the plot material of High Seas Murder. During the second half, they return to port and put in their salvage claim, but, slowly, Swanson's lies come unstuck, which began with the unexpected recovery of the captain's body from the sea – something he had not counted on. Once again, this unraveling of lies shows Drax was a contrarian voice, within the genre, during the 1930s, because this process hardly resembles anything you'd expect from a classic detective story. The reader is already aware of all the facts and mistakes, which are gradually revealed without any real detective work. Swanson's lies gradually begin to collapse in on themselves, because he's not really all that clever and a poor liar on top of that. So not really your typical vintage criminal. As you can probably understand, High Seas Murder wasn't really the sort of crime story I typically enjoy reading, but the first half was both intriguing and well-written. I did not care as much about the second leg of the book, but, again, this is not the kind of story that was written for readers like yours truly. However, if you really like the work of such realists writers like Georges Simenon and Seicho Matsumoto, you might want to add Drax to your wish list. Don't let me kill your excitement, Jonathan. This was not meant as a negative review, but as a "not my kind of thing" review. I do not like this kind of realism, but it was well written for what it was. So if you can enjoy that kind of crime-fiction, you might enjoy Drax. 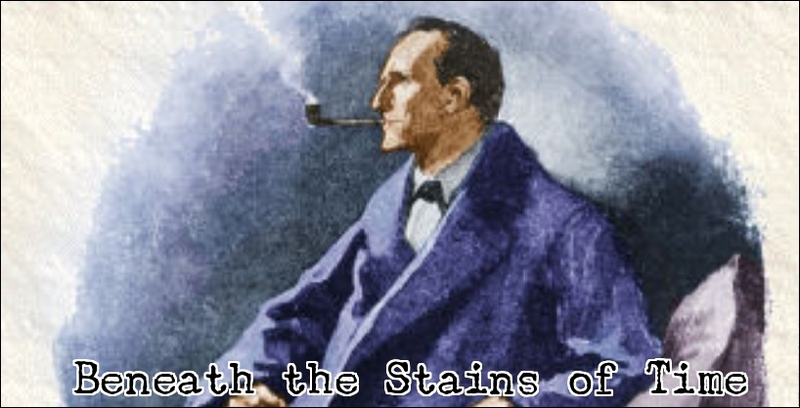 But if your taste is very close to mine, you might want to take a look at any of the other mystery writers DSP has reprinted. Like Forsythe or Punshon. Ah, but I suspect our tastes are similar - your blog was one of the very first Golden Age mystery blogs I stumbled upon a few years ago. So I suspect Peter Drax, or by the least this particular title, might not be my cup of tea. Hopefully some of his other works would be in the classic mould? I'm afraid all of his work takes a similar approach. Drax dedicated himself to write realistic crime stories and the introduction said his greatest ability was to make the plot "as plausible as the characters are real." So I'm afraid there are no real puzzlers in this series. The cover of the book refers to it as a "Golden Age Detective Story," but from your description there does not seem to be any detective at all. There's a policeman in the book, but, again, the story is rather simple and his role is hardly a major one. Not at all comparable to other police inspectors of the period. You're right about what the cover says. A Golden Age Crime Story would have been better. Can't win 'em all, but I was quite intrigued with these, such a change of Golden Age pace for me! As a Dutchman, I appreciated the seafaring aspect and the depiction of fishermen from the first half of the book, but the plot (or lack thereof) did nothing for me. I'm not really one of the most fervant admirers of realistic crime-fiction.